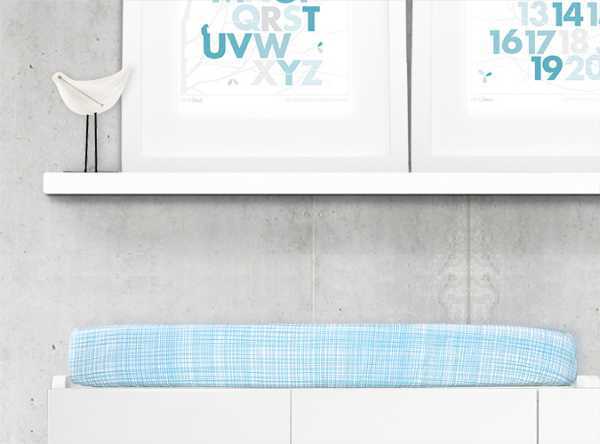 Blue isn’t just for boys – but don’t just take my word for it, have a look at this divine new collection of cot bedding and see just how amazing it would look in any baby’s nursery. It’s been a while since we last updated you on the dashing collections from US-based Olli & Lime, so allow us to reveal the newest kid on the Olli & Lime block – the Forrest collection. The entire cot linen collection features ice-blue leaves in varying hues of beautiful blue. I also love the thatched blue lines on the sheets – simple yet eye-catching. This stunning colour lends itself to so many room inspiration applications, grey tones, neutral beige or even another pop of colour. I love the simplicity of the graphic, and I’m sure by now you can see how this pattern would work a treat for a boy or girl nursery. 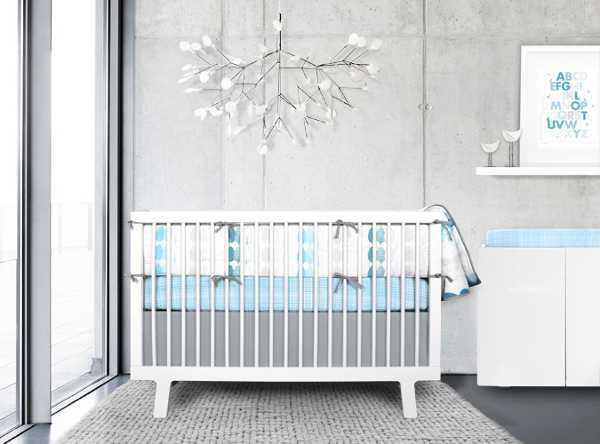 Olli & Lime are experts in ensuring coordinating a nursery is a breeze, and there are great touches you can add to the room, including matching changing pad covers, blankets, wall art and amazing wall graphics (like that beautiful understated tree decal in the image below). And in even better news, the collection is also available for toddler beds. The Forrest collection is rather new so you may have to wait for it to land on our shores – but you can shop the current collection at UrbanBaby. 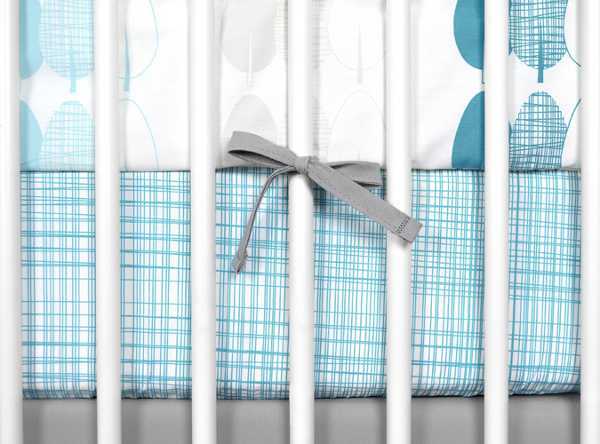 A standard cot set costs $219.95 and includes a quilt, fitted sheet and flat sheet. *Please see the Sids and Kids guidelines on how to dress both baby and the cot for optimum safe sleeping conditions.